1. Abel Danger (AD) has explained why the Marine Corps should kill Serco bookmakers who are allegedly been activating death-bet suites in Trump Hotels after Clinton Foundation donors have identified domestic or foreign targets for online assassination and stood down the Defense Red Switch Network. 2. AD claims that Serco – formerly RCA GB 1929 – shareholders launched a hotel-based death-bet bookmaker service at the 1954 Bilderberg conference and used 8(a) small business loans and guarantees to finance the 1963 assassination of JFK in Dallas. 3. AD claims that Donald Trump and his family have zero protection against a death bet assassination attempt from the CIA, FBI, and Secret Service for as long as these agencies are subject to stand-down orders from donors of the Clinton Foundation who are also Serco shareholders. 4. believes that Trump will have powers under the 1834 Marine Corps Law to direct the Marine Corps into monitoring, tracking and killing all and any Serco bookmakers and Clinton donors who are found to be making unlawful use of the Defense Red Switch Network in murder for hire. 5. United States Marine Field McConnell – Global Operations Director of Abel Danger – Field McConnell is asking for a meeting with President-elect Trump to explain why he should give the Marine Corps a license to kill and have vets issued with letters of marque and reprisal to neutralize any further threats from Serco. 1. Abel Danger (AD) has explained how President-elect Donald Trump became a target for Serco's 8(a) loan-sharking bankers who allegedly allowed Clinton Foundation donors to stand down the Defense Red Switch Network and use mentors of the Federal Bridge Certification Authority to hijack two Malaysian Airlines (MH) Boeing aircraft in Zulu time in 2014. 2. AD claims that Trump has been targeted by Serco's bankers and various London (Bert Rossi) and American Mafia families since 1979 when he chose to build Trump Towers with ready-mix concrete and put himself "at the mercy of a legion of concrete racketeers". 3. AD claims that Trump later put himself at "the mercy of a legion of Boeing hijackers" when he borrowed $380 million from a cartel of Serco 8(a) bankers led by Citibank in 1989 to buy Boeing aircraft for Trump Shuttle Inc. and fly high-rollers to his casinos in Atlantic City. 4. 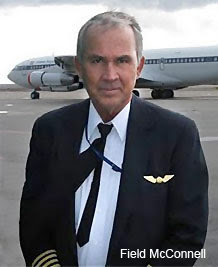 United States Marine Field McConnell – Global Operations Director of Abel Danger – flew to Malaysia in 2014 to explain how MH Flight 370 was hijacked and warn former government officials of a subsequent hijack (MH 17) allegedly executed through the Clinton stand-down switch and guided through the Boeing federal bridge. 5. Field McConnell is asking for a meeting with President-elect Trump to explain how he might want to think about Congressional letters of marque and reprisal and about giving the Marine Corps a license to kill domestic or foreign racketeers found issuing unlawful stand-down orders over the Red Switch Network. 1. Abel Danger (AD) has explained why Donald Trump thinks he knows more about ISIS than the generals; a claim he can only justify if he knew how associates of the Clinton Foundation have been using Serco operators of the Defense Red Switch Network to stand down the likes of James "Mad Dog" Mattis – a retired United States Marine Corps general known for implementing counter-insurgency (COIN) strategies – before ISIS attacks. 2. United States Marine Field McConnell – Global Operations Director of Abel Danger – believes that Trump knows less than the generals about ISIS and is therefore asking for a face-to-face meeting with the President-elect and his pick for Secretary of Defense, retired Marine General James Mattis, to explain to the two men how the Marine Corps can eliminate ISIS by killing any Serco or Clinton associates who might be found issuing ultra vires stand-down orders over the Red Switch Network. 1. Abel Danger (AD) has explained how James "Mad Dog" Mattis can stop Serco's alleged funding of 8(a) ISIS missions by issuing Marine Corps licenses to kill any associates of the Clinton Foundation or Serco shareholders who are found making treasonous use of the Federal Bridge Certification Authority network. 2. AD alleges that Serco shareholders including Clinton donors such as the Saudi Arabian government use 8(a) guaranteed debentures to fund ISIS missions where insiders stand down Marine Corps defenses and Serco synchronizes killings through the federal bridge. 3. AD claims that a Clinton insider used the federal bridge to stand down the Marine Corps Combat Development Command network in Libya while Serco 8(a) agents staged an ISIS-style attack with precise mortar fire laid down on the CIA annex in Benghazi on 9/12/2012. 4. United States Marine Field McConnell – Global Operations Director of Abel Danger – is offering to brief James "Mad Dog" Mattis and President-elect Donald Trump on how the Marine Corps can recognize and stop Serco 8(a) ISIS attacks by taking out any Clinton Foundation insiders who transmit treasonous stand down orders over the federal bridge. 1. Abel Danger (AD) has explained how a five-star general in command of the Defense Red Switch Network could destroy Serco's dirty 8(a) bankers and thwart their ongoing attempts to infiltrate the Federal Bridge Certification Authority with al-Qaeda or ISIS assassins to kill the likes of President-elect Donald Trump or his pick for Secretary of Defense James "Mad Dog" Mattis. 2. AD alleges that Serco banker/shareholders including JPMorgan, Goldman Sachs and Credit Suisse, use SBIC guaranteed debentures to fund 8(a)/ISIS missions in which Serco's man-in-the-middle agents issue stand-down orders on the Red Switch but kill through the federal bridge. 3. AD claims that Mattis did not recognize the 8(a)/ISIS man in the middle attack on 9/12/2012 when the Benghazi CIA annex took mortar fire the precision of which should have pointed him to Serco shareholders and assassins in the Marine Corps Combat Development Command. 4. United States Marine Field McConnell – Global Operations Director of Abel Danger – is offering to serve as a five star general for President-elect Donald Trump to recapture command authority over the Defense Red Switch Network and to destroy Serco's network of dirty 8(a) bankers and the weapons and ammunition caches which they have been using to kill in the name of ISIS on the federal bridge.